18 pallets of new and restocked items arrived yesterday from Spain! Paelleras & gas paella burners, all sizes are back in stock. Paella spatulas in 3 sizes. Ferrer brand soups and sauces from Barcelona: Gazpacho, Romesco Sauce, Brava Sauce in two sizes, Roasted Peppers, Apple Vinegar. 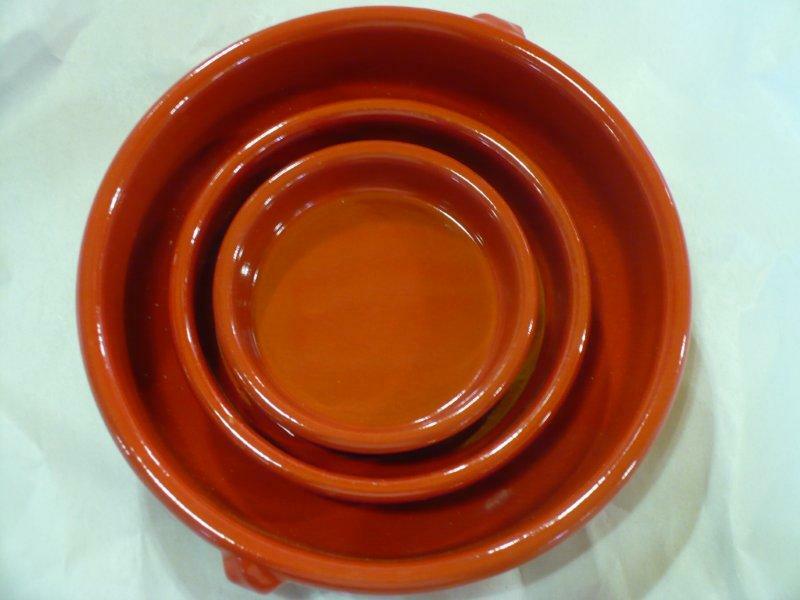 New shipment of Terracotta Cookware. All sizes of cazuelas are restocked, and we now carry yellow tagines and small cazuelas. 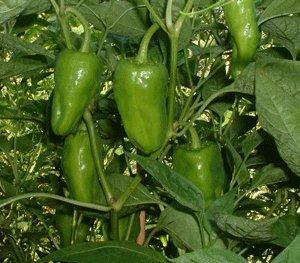 Padron pepper seeds: It’s time to start seeds indoors – but don’t plant outside until you can walk around outside without a coat. Memorial Day? New harvest Perdiz and Signo rice is back in stock. Chorizo Vela is back by popular demand! This mild and smoky giant cured chorizo is made from premium cuts of pork loin, spices and just the right infusion of Pimeton de La Vera. Ready to eat and perfect for tapas. Buy a Whole Chorizo Vela (2.75LB) for $43.00, or have it sliced for 17.99/pound. Find it at our sister store Paris Grocery, 2 doors south of Spanish Table. 2009 Basa, Rueda ($13.99) We’ve been eagerly awaiting the new release of this favorite white! From the excellent 2009 vintage, Basa is a blend of 85% Verdejo, 10% Viura and 5% Sauvignon Blanc. Rich and concentrated on the palate, its green apple, grapefruit and lime flavors have a grassy edge with a refreshing and persistent finish. Winemaker Telmo Rodriguez continues to produce exceptional wines at great prices. 2009 Esporāo Verdelho, Alentejo ($12.99) The Verdelho grape originated in the Azores Islands and was then taken to Madeira, where it makes a delicious medium-sweet fortified wine. The Esporāo winery was the first to bring this original clone to the Portuguese mainland for use in dry white table wines. 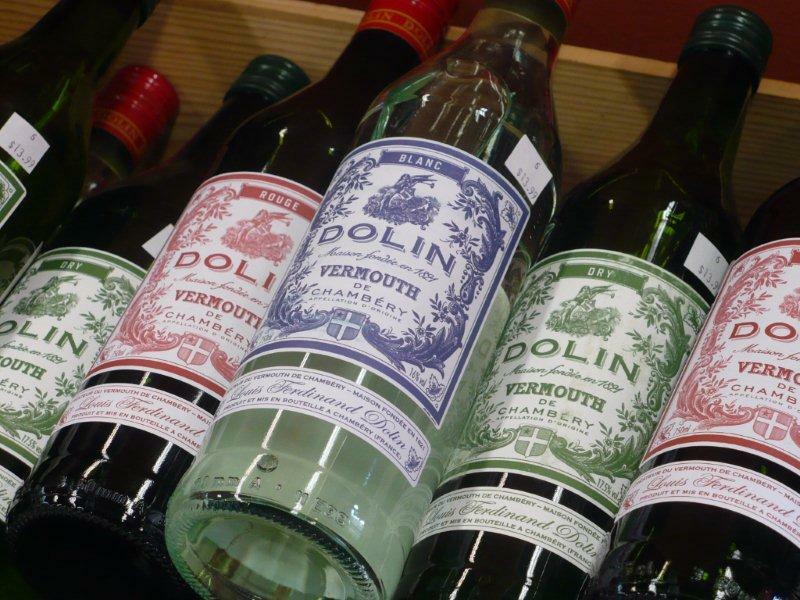 The 2009 Verdelho has aromas of delicate white flowers with ripe tangerine and lemon-lime notes. Unoaked, it’s clean flavors display a creamy roundness with a fresh and moderately zesty finish. 2007 Esporāo Monte Velho Vinho Tinto, Alentejo ($9.99) We tasted Monte Velho last summer at the Herdade do Esporāo winery in Portugal and couldn’t wait to get this value-packed red on the shelf! Energetic and harmonious, it shows a depth of bright fruit from its blend of Aragonez, Castelão and Trincadeira grapes. Intense aromatics are followed by notes of bing cherry, plum, blackberry and minerals. We’ve never been disappointed with any Esporāo wine, and Monte Velho will be a hit with any full-bodied red drinker. Excellent with rice or poultry dishes. 2002 Abel Mendoza Jarrate Rioja ($14.99) Abel Mendoza has been called a “Burgundian winemaker in Rioja” and a pioneer of new wave Riojas. He gives top priority to his vineyards which he farms biodynamically, and the production of the finest, phenolically ripe fruit. 2002 Jarrate spent 12 months in new French oak, and after its 8+ years of bottle age, it has developed a complex elegance. On the nose, its aromas of earthy mushroom are classic Rioja. Black currant and marion berry notes blossom on the mid-palate, with supple tannins and great balance. Persistent and mineral-laden, it finishes with lingering notes of kirsch. This is a wine with finesse. Ana Montes and Flamenco Danzarte, Big Student Show. Saturday, March 26th, 2011 and Sunday, March 27th, 2011, Ethnic Cultural Theater, Univ. District. More info. Rare Spanish Gran Reservas Arrive! 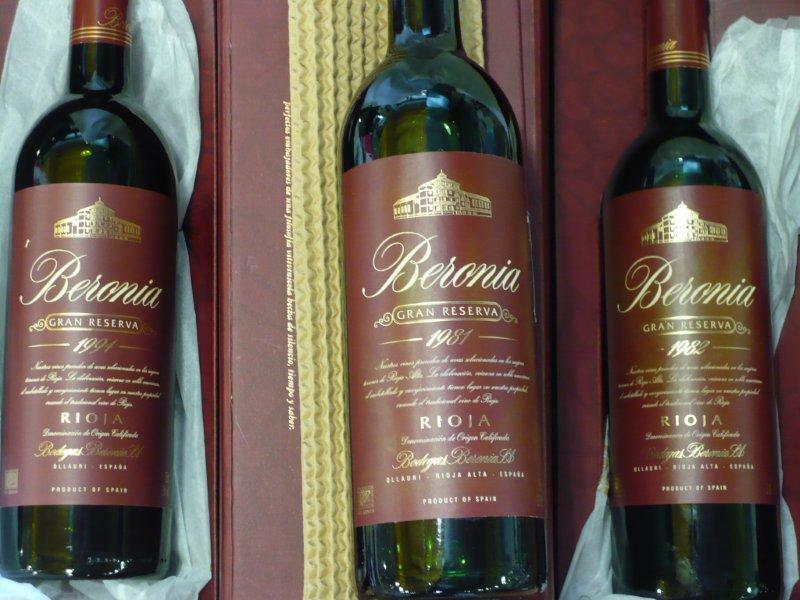 Last December for the first time, Bodegas Beronia opened their library of Gran Reserva Riojas for sale. Our special order of three historic vintages were shipped directly from Beronia’s cellars and arrived at Spanish Table yesterday. Beronia was founded in 1973 by a gastronomic society and was conceived as a winery dedicated to quality, exclusively making Reservas and Gran Reservas, in the purest, most traditional Rioja style. In 1982, having exceeded its initial expectations, Beronia was acquired by Gonzalez Byass (producer of Tio Pepe sherry) who expanded production to include value priced Crianzas. (For those new to Rioja wines, the terms Crianza, Reserva and Gran Reserva refer to the aging process. Crianzas are wines matured for at least one year in oak cask and six months further in the bottle. Reservas are aged for at least three years total, with one year minimum in oak cask. Gran Reservas are produced only in great vintages and have been aged at least two years in oak casks and three years in bottle prior to release.) The Beronia Gran Reservas that we received have been aged much, much longer than a normal Gran Reserva, as they’ve been aging in the winery cellars since bottling. Ready to drink now, they would be excellent with a special Mother’s Day dinner, or as a gift. 1981 Beronia Gran Reserva ($54.00) is at its peak right now. A very good vintage, this is soft and balanced with great mouth feel. Dried fruit, leather, green tea, vanilla and dried tobacco aromas in this aged red wine. 1982 Beronia Gran Reserva ($72.00) is an impressive library offering from Rioja. A superb vintage, this is soft and balanced with great mouth feel. Sweet plum, cranberry and cherry, earth notes, vanilla and cigar box aromas in this impressively elegant aged red wine. 1994 Beronia Gran Reserva ($53.00) comes from one of the best vintages in the last several decades. Just starting to show its age with dried tobacco, baking spice, plum and dried red cherry. Nice weight and good balance. This is a treat. 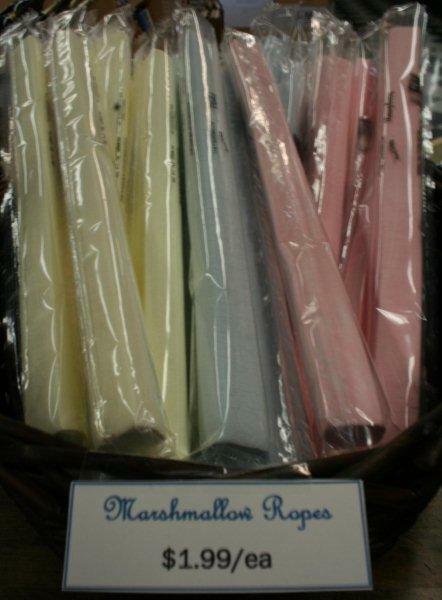 Mothers Day is coming up (Sunday May 9th) and we’re stocked with gifts for cooks and specialty foods. Some gift ideas: Hand painted ceramics in various colors and shapes. Olive oil soaps from Spain and Greece scented with Magnolia or Lavender. Cookbooks are a terrific inspiration for the culinary minded. Our selection includes Spanish, Portuguese, Greek, Mexican, Turkish, Middle Eastern, Vegetarian, Cuban. Our latest favorite is Michael Psilakis’ “How to Roast a Lamb – new Greek cooking”. An assortment of extra virgin olive oils. If you’re serving brunch, pick up a rosé cava to add a celebratory touch. New shipment of Graupera cazuelas arrived today. Now in three colors: Clay, Dark Gray and Very Red. Limited quantities available of Very Red. Ole Ole Fresh Sausages – No preservatives, no nitrates. Available in Butifarra, Merguez, Chorizo, and Chorizo Picante. 1998 Señorio del Aguila Gran Reserva, Carineña ($19.99) Distributor close out! A blend of 60% Tempranillo, 20% Garnacha and 20% Cabernet Sauvignon, this food friendly red is perfectly aged. An earthy and medium-bodied wine, Señorio Del Aguila has notes of balsamic and spice. Red and black fruit with licorice flavors are balanced by silky tannins. Full of finesse, it is excellent with pork dishes. 2006 Riscal Tempranillo, Castilla y Leon ($9.99) Established in 1858, Rioja producer Marques de Riscal quickly became one of the most sought-after Spanish wines. Recently Riscal began producing table wines in Castilla y Leon, crafting value wines with the same care as their top Riojas. The 2006 Riscal is a well rounded Tempranillo with concentrated red fruit. Notes of cherries, raspberries, and cola are held together by soft velvety tannins, making it a perfect food wine. This is an excellent value! Shop our wine website at Spanish Table Wines. For food, cookbooks, paella pans and all non-wine items, go to The Spanish Table website. For the latest product news from Paris Grocery, visit the PG Facebook page. To subscribe to Paris Grocery’s newsletter, send an e-mail to info@parisgroceryseattle.com. One of our favorite parts of this job (besides the yummy free samples we get to take home) is advocating for misunderstood or overlooked products. It’s easy for things to get lost in translation or misrepresented when they leave their native home. 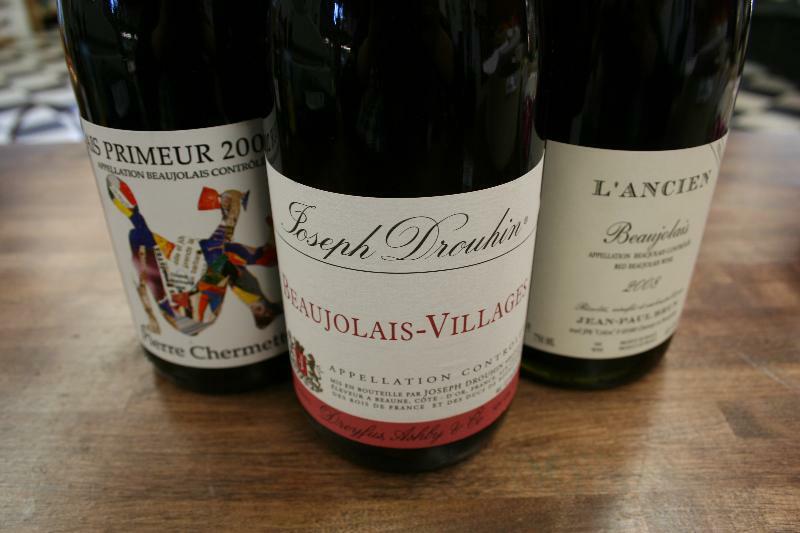 Beaujolais wine is often dismissed outside of France, and we often are left wondering why. The Gamay grape flourishes in the mild climate and gravelly soil of the region, resulting in a delicious array of ethereal wines. Perhaps they are misunderstood it because their appeal lies in a certain subtlety and finesse, whereas wines produced and consumed in the States tend to be powerful and brash. Beaujolais’ lightness and grace, however, is what makes them ideal for pairing with food– they match well with fish and fowl alike, and elevate the flavors of sauces, stuffings, and side dishes. It is easy to mistake a dark color and heavy body for complexity, but Beaujolais’ brilliant rubies hold incredible length and a fusion of aromas and flavors that are earthy, floral, and fruity. With the weather turning slowly towards warmth and sunshine, it the perfect time to explore (or rediscover) these undervalued wines, especially since they are available for truly stellar prices! The ultimate food wine: this is not a soda pop-style Beaujolais! The Chermettes were among the pioneers of sustainable viticulture in the Beaujolais and their wines are made in a traditional way. Using natural yeasts and little or no fermentation, Chermette Beaujolais Primeur is a true expression of terroir. Unlike many Beaujolais Nouveaus, it improves with bottle age. Josh Reynolds said, “Fans of graceful, tangy, minerally Beaujolais will find plenty to like from both 2007 and 2008,” and this bottle is a fine example. The great-grandchildren of Joseph Drouhin still run the centuries-old winery. For their Beaujolais-Villages, the grapes are hand-harvested and some of them undergo carbonic fermentation. The resulting wine is graceful, with a refined, highly aromatic nose and silky tannins. Bright red berries, cherries, and peonies dominate, with the fresh fruit persisting on the finish. A convivial wine, ideal for dinners with Cornish hen and flavorful dishes, this wine is also a winner on its own. We are thrilled to be carrying two kinds of charcuterie from renowned charcuterie maker Creminelli. We can’t pick a favorite so you’ll have to try them both! Fabrique Delices Cured Duck Salami, Gabietou (raw cow’s and sheep’s milk cheese), Boursin Cheese in Roasted Red Pepper and other flavors, Griottines (morello cherries in brandy), and Scharffen Berger Roasted Cocoa Nibs. Vlahotiri – Greek pasteurized sheep’s milk cheese. Slight elastic texture with a wonderful sheep tang, it almost has the same piquant bite as a raw goat’s milk cheese. $19.99/lb. Queso Naboulsi– Fresh Turkish cow’s milk cheese. This dense, compact, squeaky cheese is perfect for salads and delicious served as a simple tapa. Fry in some tasty olive oil and toss in some herbs. Packaged in the grab & go cooler. $4.49/ea. Parnassos – Greek sheep milk’s cheese. Made by Krinos. Packaged in the grab & go coolers. $10.99/ea. Classic Seafood Stock – Great for paella! Made by More than Gourmet, Glace de Fruits de Mer Gold, no msg or preservatives. Also creates classic French stocks and sauces. Delicious recipes included. $7.99 1.5 oz. Greek Olive Oil Soaps – 4 aromatic luxury bar soaps: Lavender, Magnolia, Musk, Pure Olive Oil (unscented) $1.79/ea. 4.4 oz. Roasted Cacao Nibs – we pack them out! Great for baking and sprinkling on desserts! Scharffen Berger brand. $22.99/lb. Shop from home on The Spanish Table’s websites! Go to The Spanish Table wine website for wines arranged by staff pick, by score, by price, and by country. Visit Paris Grocery Facebook’s page for updates on new products. 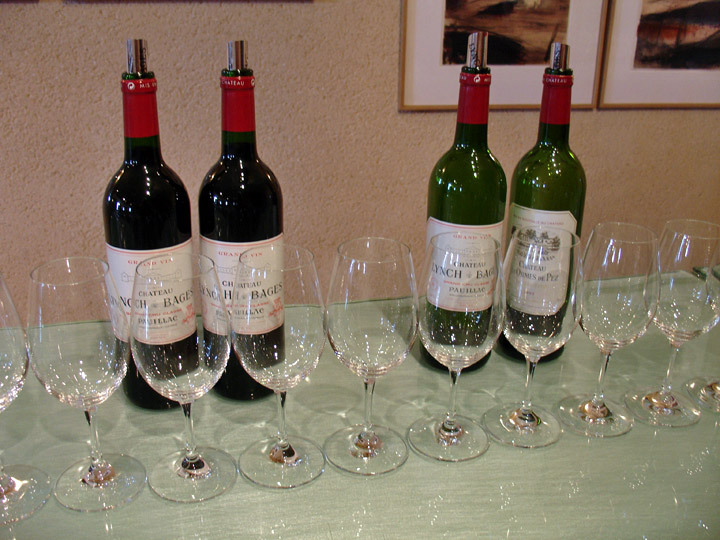 Among French appellations scrambling to sell wine during the recession, Bordeaux is perhaps the region struggling the hardest. Prices of older wines are being slashed as newer vintages are released, providing a great opportunity to load up on delicious bottles that were previously unaffordable. We’ve brought in four new red wines from the left bank, primarily Cabernet Sauvignon blends, which we think are steals. 2006 Domaine Lapalu “La Patache” Médoc ($14.99) A blend of 85% Cabernet Sauvignon harvested from different parcels of the Lapalu family’s vineyards, the fruit has been skillfully selected and blended. A lively, juicy Bordeaux that is approachable in its youth, it also has an ability to develop with age. It is deep ruby, aromatic with strong notes of cassis and plum supported by dusty tannins and softer notes of vanilla. Wonderful as an accompaniment to roasts, it is also delicious all on its own! 2006 Sorbey Haut-Médoc ($14.99) The second label of the prestigious Chateau Julien, Chateau Sorbey uses grapes from the same gravel vineyards to create outstandingly priced Médoc wine. This 50% Cabernet Sauvignon, 50% Merlot shows great minerality and balance. It spends at least a year maturing in oak barrels. Concentrated, nicely structured, with chewy black fruit and hints of spice and cedar. Delicious with lamb crusted in herbs and lavender. 2007 Chateau Semonlon Haut-Médoc ($15.99) Olivier Dumora inherited this small estate, which sits very close to Margaux, from his great-grandfather. 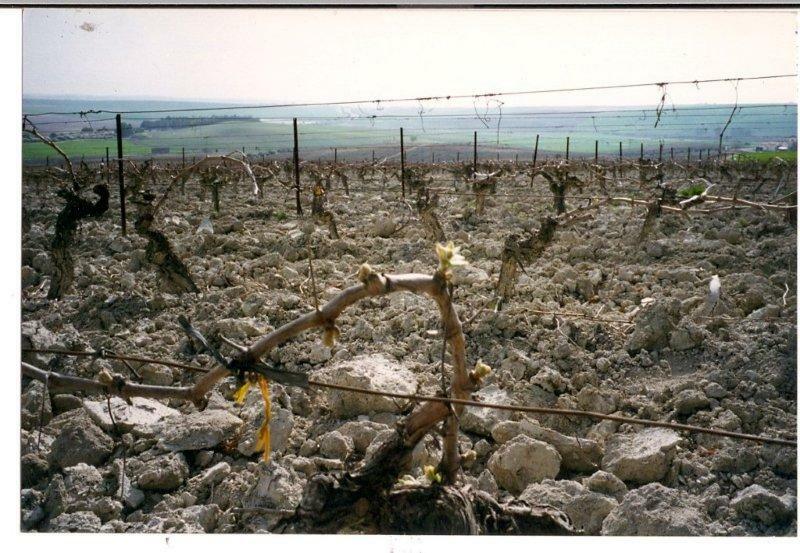 The gravel and mud soil of the area is known for its finesse, and Dumora respects the terroir and pays homage to the traditional winemaking style of Bordeaux. All the fruit is harvested by hand and fermented in stainless steel tanks, followed by a year of aging in both cement vats and in oak barrels. The 35-year-old vines of Cabernet Sauvignon and Merlot yield a supple wine with deep notes of black currant, plum, and earth. Medium-bodied with balanced acidity and tannins, it is very appealing now but can also be cellared for a couple of years. Saint Nectaire Fermier -A fermier (farmstead) version of an ancient style of cheese. Made with the milk of Salers cows who graze on the volcanic pastures of Auvergne, this cheese has all the earthiness, nuttiness, and raw milk flavor a cheese can possess! Pair with a light, fruity Gamay. Tarbais Beans— the traditional bean for cassoulet! $17.99/lb. We now have the full line of Clément Faugier chestnut products– chestnut cream with vanilla, chestnut puree, and whole chestnuts in water. 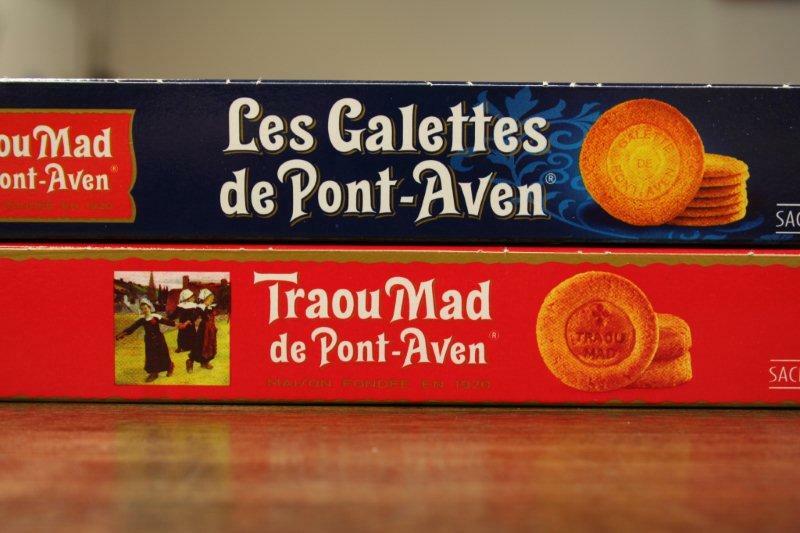 Traou Mad de Pont Aven cookies from Brittany– made with salted butter, these thick biscuits are supremely dunk-worthy! And, Salted Black Licorice is now in stock! 2004 Obra Crianza, Ribera del Duero ($12.99) The 2005 Obra Tinto was an excellent and food-friendly red which sold out all too quickly last fall. When we tasted the 2004 Obra Crianza, we were impressed by its heft and structure which opens up after extended airing to reveal concentrated boysenberry liqueur, spice box and notes of cedar. This delicious full-bodied wine is best after decanting. We unloaded 4 pallets of new products on Tuesday at Spanish Table! Some of the tastiest are Mamia brand Piquillo peppers stuffed with Hake and Shrimp or Salt Cod, Tonnino Yellowfin Tuna Fillets with Jalapeño in Olive Oil – Makes a spicy tuna sandwich! Anko White Asparagus Mousse – Spread on crostini for a great tapa. Tukas Stuffed Vine Leaves from Turkey – Vegetarian, with rice, lemon and spices. Acćent Seasoning packets with Cilantro and Achiote – adds color and flavoring and a touch of Central America to chicken dishes. Spanish Flan – Ready to eat and does not need refrigeration. Ethiopian Shiro Powder: Made from a base of garbanzo beans, garlic, ginger, Berbere pepper and other spices. It is used to make a hearty vegetarian paste served with Injera, a traditional Ethiopian flatbread. Mix the powder with water to make a delicious spicy hummus spread, or use Shiro as a flavor ingredient in other dishes such as mashed potatoes. Berbere Pepper: Quintessential spice blend in Ethiopian cooking, it is a mélange of red chili peppers with fenugreek, cardamom, ginger, garlic, nutmeg and other spices. March is full of madness with springtime’s newness busting out all over. Here at The Spanish Table, we love the new — especially new products! Last Saturday we unloaded two pallets of Portuguese and Spanish specialties that we haven’t been able to stock for a long, long time. In addition, we brought in items that customers have been asking for, and some things that no one’s asked for, but are really delicious. Give them a try! Taza Chocolate Mexicano, Stone ground and organic 2.7 oz discs in 3 flavors: Guajillo Chile, Cinnamon and Vanilla. Makes a tasty hot chocolate. 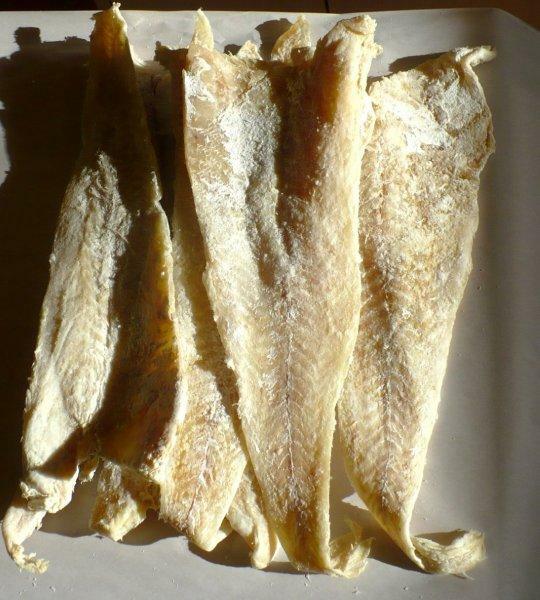 Portuguese Berberechos – $5.99 (4 oz) Wild caught, from the Galician coast. Piquillo Peppers stuffed with Ortiz brand Tuna – Serve as a simple tapa or with mixed greens to take your salad up a notch. 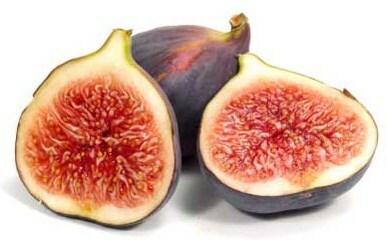 Migos Pajarero Figs: Delicate and sweet with thinner skin than other varieties. Thumb-sized, they make a stellar addition to a cheese platter. ChocoHigos: Pajarero Figs hand-dipped in Dark Chocolate. Portuguese Chouriço: Special price while they last! Bulk links, appx 3/4 pound, $2.99 each. Spanish Kitchen cookbook by Jane Lawson ($12.99) Written by an Australian foodie with a love of Spain, her recipes are inspired by meals eaten during her travels. Hardback, with mouth watering photos. 2008 Naia, Rueda ($14.99) Another stellar favorite returns! Just in time for white wine season, Naia has zesty notes of grapefruit and hints of pine, with creamy flavors of ripe apple and melon. Laced with minerals, it is vibrant, fresh and clean. Absolutely delicious! Rioja in half bottles! We spotted these 375 ml bottles at Bodegas R. Lopez Heredia last summer and asked our distributor to bring them in. Absolutely perfect on those nights when you crave a really good glass of wine but not a whole bottle. 2000 Viña Tondonia Reserva Rioja ($29.99) Aged six years in barrel, it has delicate red fruit flavors, notes of earth and coffee with velvety tannins. 2004 Viña Cubillo Crianza Rioja ($19.99) Aged in oak for 3 years, it is fresh and silky smooth. With notes of licorice and cherry aromas, it has consistent texture and a persistent finish. 2007 Clos I Terrasses Clos Erasmus Priorat ($190.00) Two bottles available! The 2006 vintage received 97 points from Wine Advocate and 95 points from Stephen Tanzer. (Our two bottle allocation of the 2007 vintage has not yet been rated). Winemaker Daphne Glorian was one of the pioneers who revived D.O. Priorat in the 1980’s, and Clos Erasmus is one of benchmark wines from this region. A blend from four vineyards totalling 2 hectares, the annual production is less than 140 cases per year. 1976 Blandy’s Terrantez Madeira ($189.00) Wines made from the Terrantez grape are very rare. Low yielding, the total annual harvest does not even fill a 500 liter cask. Rich and medium sweet, it has outstanding roasted aromas and a little musk, then a touch of something wild and leathery, with a lot of dried fruits. On the palate it has a sweet nuttiness, powerful acidity, a layer of bitter walnut, lots of caramel, raisins, molasses, and a persistent finish. Try this stellar Madeira while you can! Our friends on Madeira were hit by a massive storm on February 21, the worst in 100 years. Thankfully, everyone at Blandy’s and Madeira Wine Company are safe, although at least 40 other people lost their lives. To see a video of the storm, click Madeira. 2008 André Neveu Sancerre “Le Grand Fricambault” ($24.99) André Neveu’s vineyards are located in Chavignol, on the silex soil of Sancerre’s hillsides. Highly aromatic, his exquisite Sauvignon Blanc reflects this flinty terrain. Bone-dry and chalky, it exudes aromas of citrus, grapefruit, and limestone. Tart, concentrated, and marvelous with Crottin de Chavignol, the local goat’s milk cheese. It drinks like a Grand Cru Sancerre! French lavender and tarragon. Packed out here at Paris Grocery into 8 ounce containers. Tarragon plays a starring role in a classic Béarnaise sauce. Try the lavender on a leg of roasted spring lamb, or sprinkled on a log of fresh chèvre. 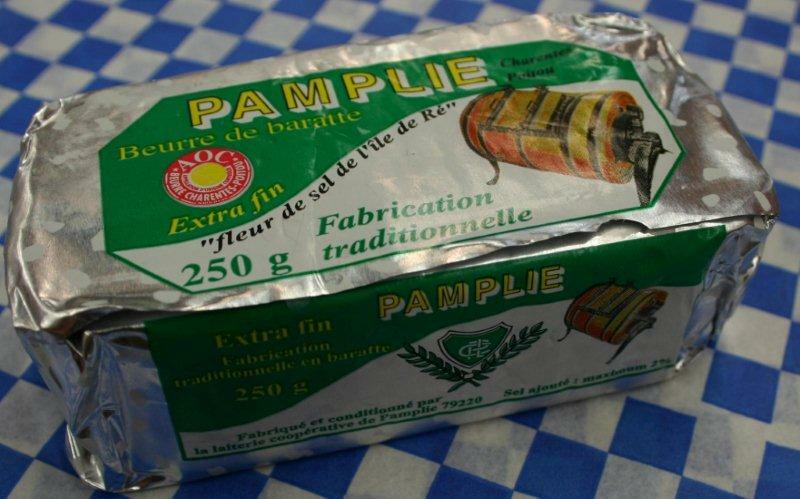 Pamplie Salted Butter.From Poitou-Charentes, a region famous for its dairy products. Pamplie is preferred by chefs for its firm consistency, pale color, and rich flavor with hints of hazelnuts. Made with fleur de sel from Île de Ré, this butter just gets better. Tome d’Acquitaine is back! This is one of our absolute favorite cheeses. The beautiful snow-white interior of this washed-rind goat’s milk cheese will catch your eye. 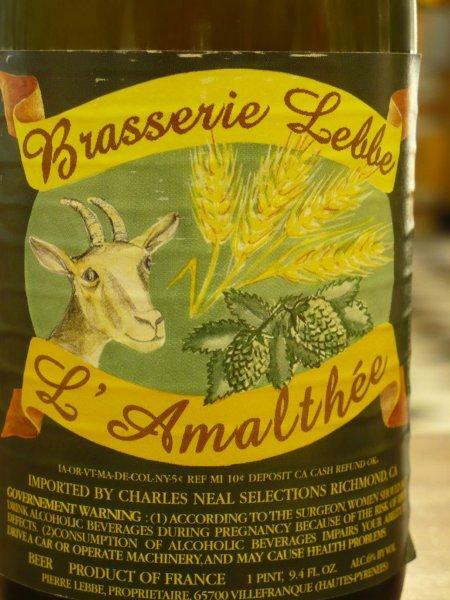 Washed in Sauternes by the respected affineur Jean d’Alos, it displays delicately balanced fruit and floral notes. Abbaye de Tamié cheese makes a stunning debut. We asked Olivier to bring us a fantastic example of a monastery cheese, and he did not disappoint. The monks of Tamié have been producing this cow’s milk cheese since the year 1135. We think they are getting the hang of it- this cheese is marvelously creamy, almost spreadable, with a pungent fruitiness and undertones of sweet hay and fresh cream. Become a Facebook Fan of Paris Grocery by clicking PG. 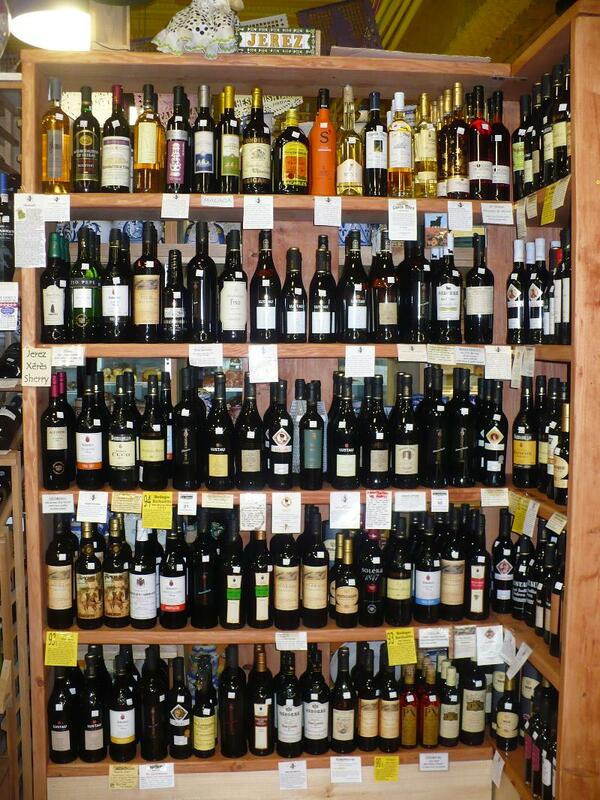 For wine purchases, click on The Spanish Table wine. Click on The Spanish Table to purchase food, cookware and other non-wine products. If you’ve eaten at Yanni’s Restaurant in Seattle or spent any time travelling in Greece, chances are you’ve sampled wines made from the Assyrtiko, Limnio or Agiorgitiko grapes. These unique and utterly delicious wines are the perfect compliment to herb-infused Mediterranean foods or anything cooked on the grill. We’ve brought in a sampling of these wines because they’re terrific and not widely available. Try one for a change of pace! 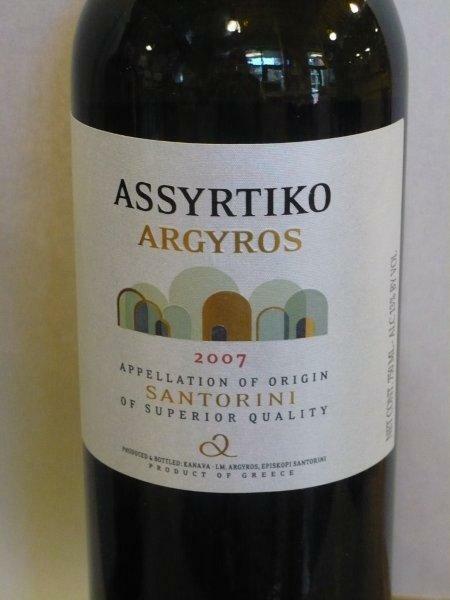 2007 Argyros Assyrtiko, Santorini ($22.99) White wines made from the Assyrtiko grape flourish under the extreme climatic conditions in Greece and are characterized by freshness and high acidity. The 2007 Argyros has flavors of lemon peel and is loaded with minerals which give the palate a clean and refreshing experience. Excellent with grilled octopus! 2008 Thalassitis Santorini ($28.99) Made of 100% old vine Assyrtiko, the vineyard has dramatically low yields which produce extremely concentrated fruit. The grapes are chilled and cold soaked prior to fermentation which greatly preserves the fresh aromas. Bone dry with delicate honeysuckle aromas, it has flavors of rich melon and a hint of nuts. Crisp and delicious, it will age beautifully for 3 to 5 years. 2007 Tsantali Halkidiki ($11.99) A blend of Limnio and Merlot, this smoky red is one of Yanni’s best sellers. Medium bodied, it’s black cherry flavors have abundant acidity which make Halkidiki a stellar match with herb crusted, roast leg of lamb. 2004 Atioptitiko Agiorgitiko, Nemea ($19.99) The Agiorgitiko grape (also known as St. George) has both structure and smoothness. 12 months aging in oak barrels give Atioptitiko a full-bodied roundness with balanced acidity. On the mid palate are ripe tannins with rich flavors of cassis, cloves and vanilla. It wraps up with a soft, persistent and dry finish. Excellent with savory dishes, such as pan seared chicken with wild mushrooms and oregano. Celebrate our early spring with a French rosé! It’s a perfect excuse to pop the cork on a chilled, dry rosé and say goodbye to winter! Our selection includes wines from the Cote du Rhone to Provence, priced from $6.99 to $15.99. Our top choice is the salmon colored, minerally 2008 Commanderie de la Bargemone ($15.99) from Provence. 2006 Domaine Jo Pithon 2006 Anjou Cab Franc ($29.99) Anjou is produced from 50 year old organically farmed vines grown in St. Aubin’s slate and volcanic soils. Winemaker Jo Pithon believes in minimal intervention during the winemaking process. No sugar or yeast was added, yielding a pure expression of Cabernet Franc and a reflection of the terroir. Aged in oak for 18 months, it is brooding, full-bodied and loaded with black fruit flavors. Showing great lift, it has excellent balance, structure and complexity. This is a delicious Cab Franc! Beginning Monday March 1, Paris Grocery will be open seven days per week. Our hours are 10-6 Monday through Saturday and 11-5 on Sundays. CUNE Rioja Winemaker dinner at Andaluca Restaurant on Friday, February 26th, 6:00 p.m.
Keep up with us on line! The Spanish Table wine website. For products other than wine, go to The Spanish Table to purchase food and cookware. For the latest Paris Grocery news, click here to visit our Facebook page.